At Pinch Of Nom, we’re massive fans of motivation. That’s why we’re starting this brand new series of articles, hearing people’s stories of their weight loss journey. 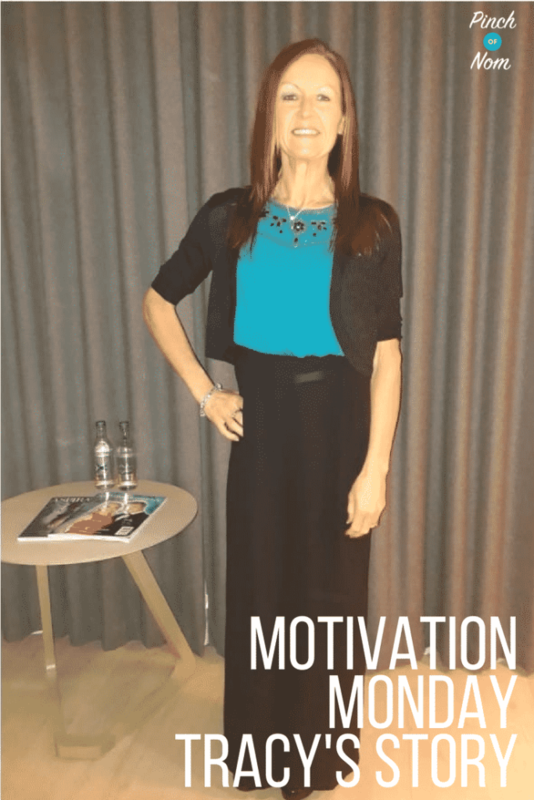 In these Motivation Monday articles, we’re going to ask a series of questions to try and get an idea about how people approach their Slimming World journey, what obstacles they’ve faced, and how this has changed their life for the better. 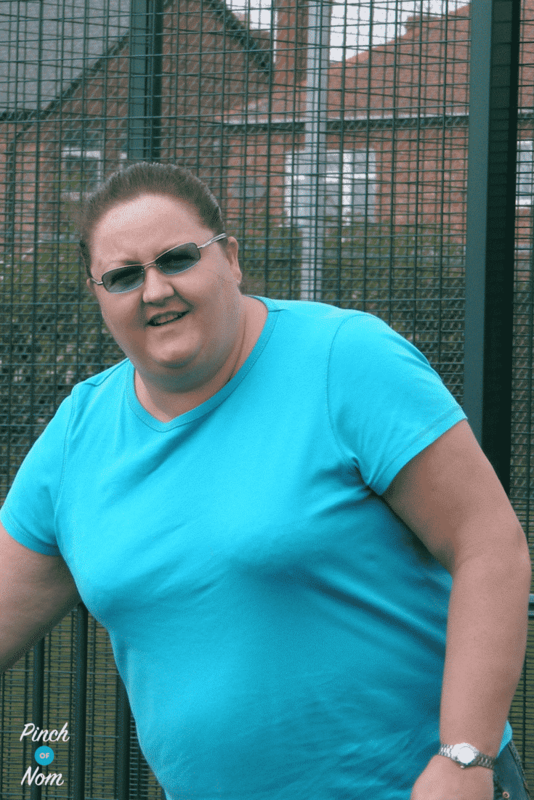 This week we’re kicking off with Tracy’s story. Tracy is a long time reader and follower of Pinch Of Nom, and we’re also lucky to have her as part of our moderation team on our Facebook group. 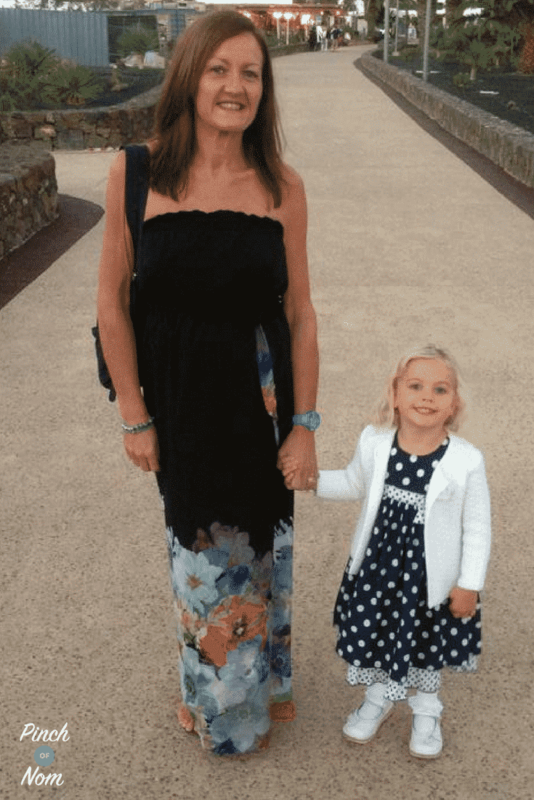 Tracy is 46 years old and a busy mum of two kids. She took time out of her busy schedule to answer some questions for us! When did you decide that enough was enough, and you wanted to join Slimming World? I was diagnosed with Type 2 diabetes after having my Son Samuel in July 2006. Following an ongoing weight problem since I was young, I decided to lose some weight as this was preventing me trying for a 2nd child. My weight then was 19st 0.5lbs. 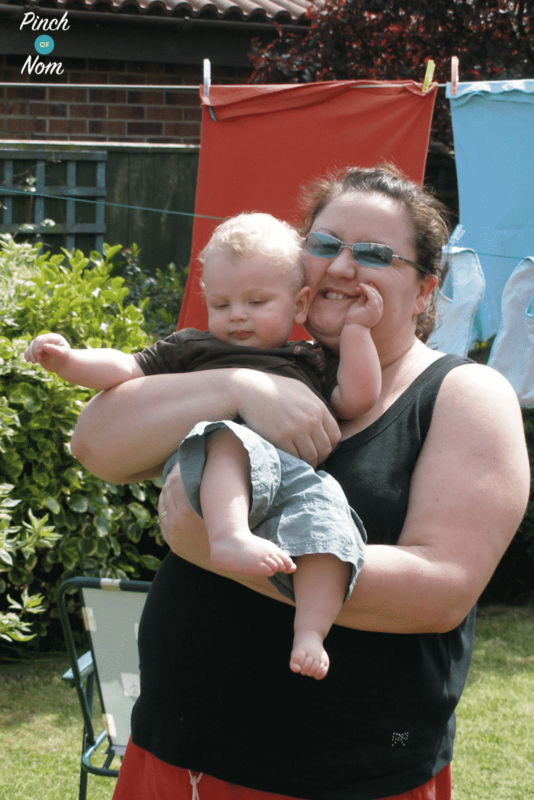 I managed to lose 2 stone and had my daughter Jessica in November 2009, but sadly the weight did not come off anymore. I then went for treatment on appalling varicose veins and was instantly refused due to my weight being a risk to me with a major operation. My weight had stuck and I was advised to lose 2 stone and go back. This was heartbreaking but totally understandable. At this point I though enough is enough, and joined my local Slimming World group. This was in January 2012 with a start weight of 17st 0.5lbs. Did anyone influence you to join a Slimming World group? I had attended a Slimming World group twice before with great results, but becoming complacent the weight piled back on. I influenced myself because i knew it was the only plan that worked for me. How did your first week on Slimming World go? Any surprises? As I had an idea of how the plan worked, I settled in really well and my first weight loss was 5lbs. I was really chuffed and settled straight into the plan very easily. I’ve achieved a total loss of 9st 4.5lb, of which 7st 4.5lbs was by following the Slimming World plan. They were so pleased for me! They could really see I was turning myself and lifestyle around. The biggest compliments were from people I had not seen in a while and they appeared shocked, but none the less very proud of me. The one thing I wish I knew before I started, is just how easy it is to adapt the Slimming World plan to suit you, and the foods you like and love to cook. In a word, loads! You gain so much knowledge and inspiration from other members. 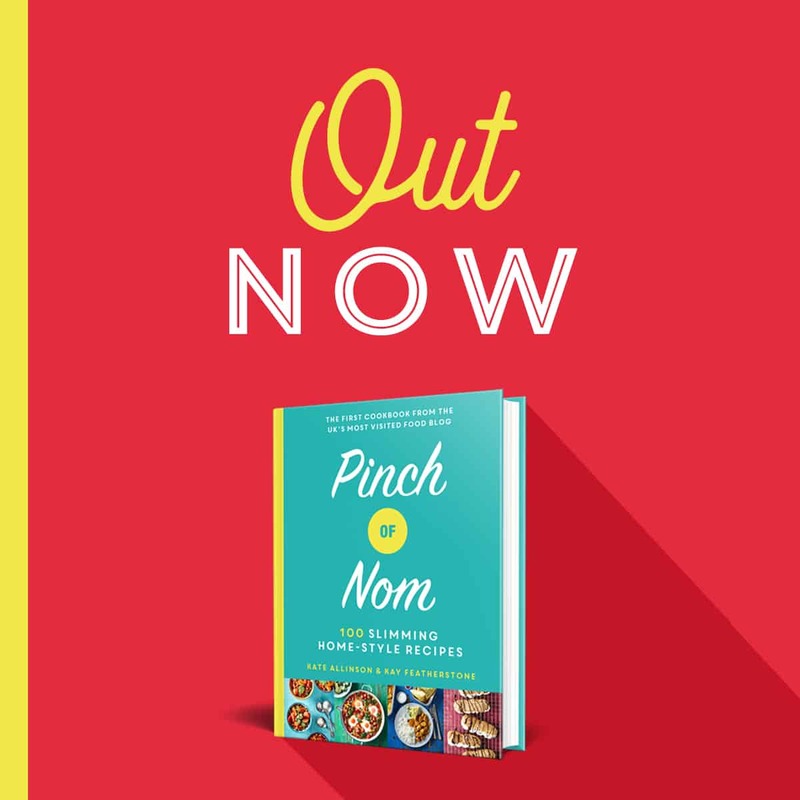 The Pinch Of Nom Facebook page makes finding fabulous new recipes to try really easy. 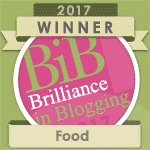 Social media pages, such as the Pinch Of Nom Facebook group, makes it simple to discover alternative foods to have as your Healthy Extras and Syns. I’ve also gained so many friends and inspiration from other members! Now you’re asking! I’ve yet to fault one! My favourites have to be the Chinese dishes or anything spicy. They’re so easy to make and taste amazing. 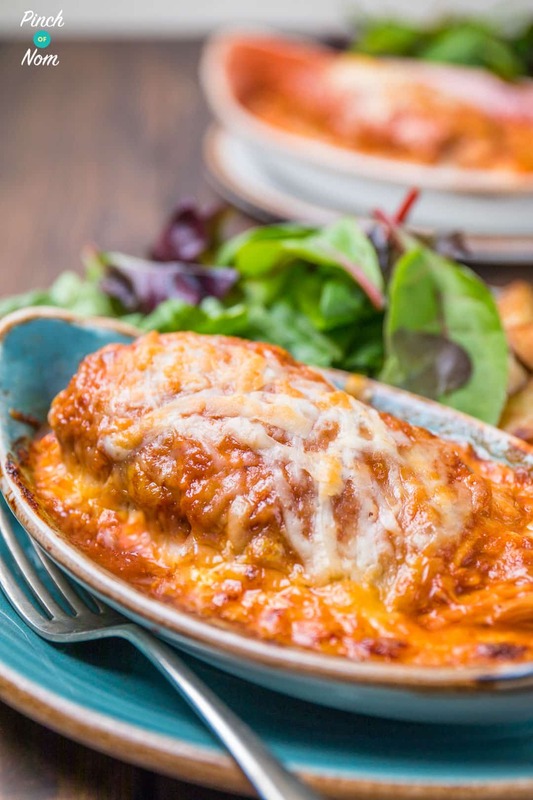 The Syn Free Hunters Chicken is to die for! What have been your favourite non-scale victories? My biggest non-scale victory has to be reversing my Type 2 diabetes, lowering my blood pressure and cholesterol level. 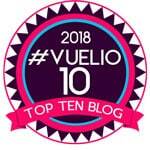 There have been so many more, such as getting on the aeroplane without struggling with the seatbelt, and being able to pull the table down and have a gap! Also, I’ve had to have my rings downsized 6 sizes, being able to walk into a shop and buying size 8 jeans and size 10 tops. In addition to that, the feeling not been stared at on the beach on holiday – magic! Joining Slimming World has totally changed my life. I’ve never been so active and full of energy! My health has improved 1000%. I want to get up and go now and be seen, not hide away under baggy clothes indoors. My fitness levels are through the roof and I attend a hard bootcamp 6 times a week and love the feeling I get from it. It’s just been one fantastic journey. The biggest impact Slimming World has had is having had my operation, then returning to see the surgeon several stones lighter. Thanks for getting in touch, Christine, I’ll make sure Tracy sees your message! Hi Christine. Thank you so much for your very kind words. Much appreciated. Wow Tracy, what a fantastic journey! I’m only one week in to sw but loving it. I have 3st to lose and was a bit disappointed only losing 2.5lbs in my first week but stories like yours and other are truly inspirational and are motivating me to stick to plan. Can I ask if you exercised all the way through your journey? I’m currently living in Gibraltar so I don’t have the opportunity of attending a class but I’m finding this group very supporting just by reading the posts. Thank you so much for sharing your story and may I say you look absolutely fantastic!